This is a beautiful property that provides you everything you need to move to the Trinity mountains and be a farmer! 11.87 acres of flat to rolling terrain that is dappled with oaks and conifers. Amazing mountain and garden views from the deck. The home has had extensive remodeling done including a completely new kitchen and bathroom, new floors, lighting and fixtures. 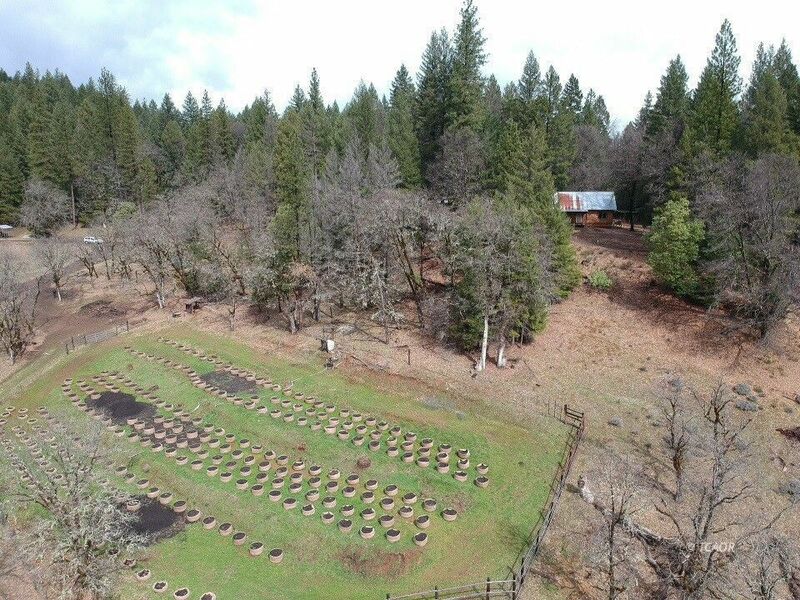 The property currently holds a temp State license and County Type 2 Cannabis Outdoor Cultivation License. Cannabis license allows 10,000 s.f of canopy. Garden area is set up and approved. Water is from a spring on the property and there are also water rights to a shared spring on the neighboring ranch. Seller also has a well permit on file with the County. Property is partially fenced, has numerous out buildings, access roads throughout the property and two shipping containers. Come get started before Summer arrives!